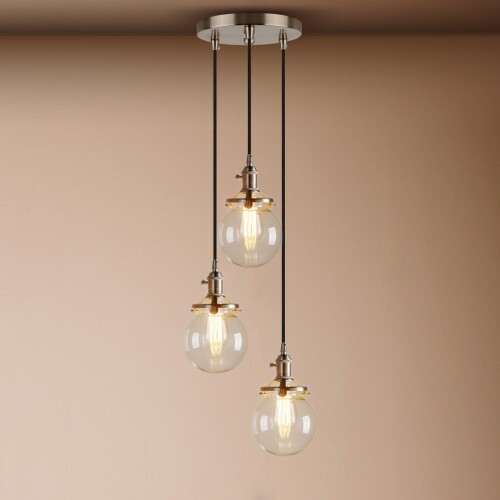 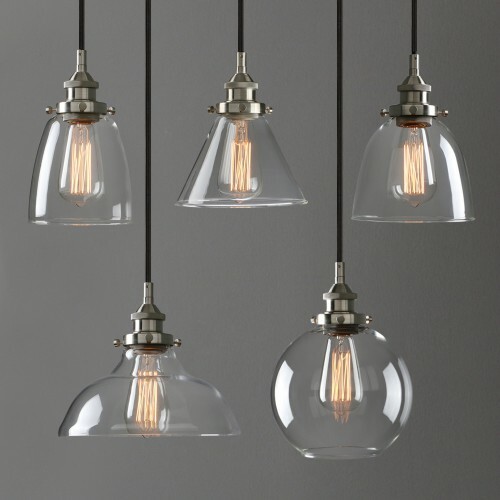 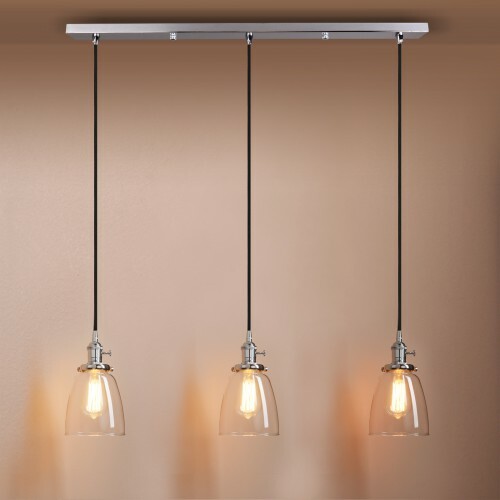 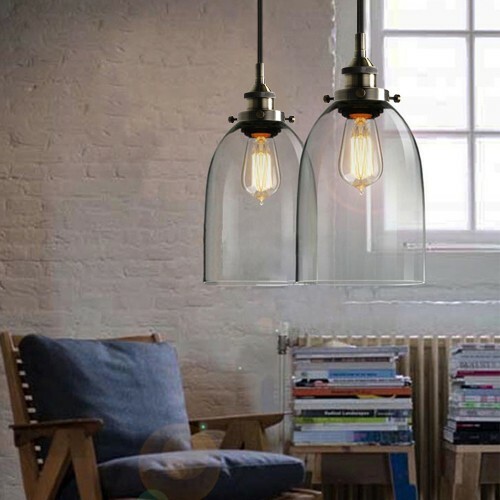 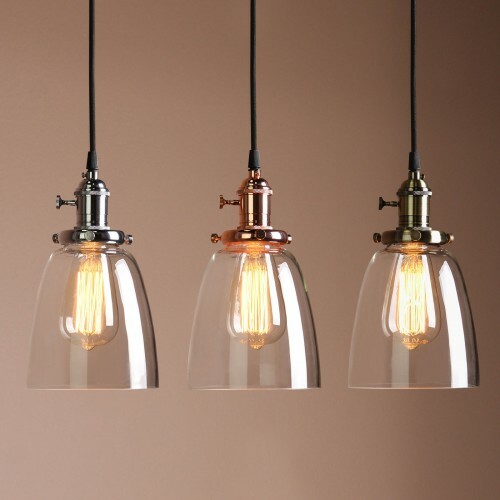 What you are looking at are Cluster 1/3 clear glass funnel pendant lights. 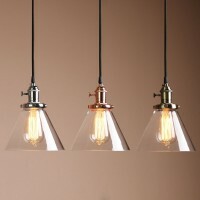 Lamp Size : 18.5CM (7.3") Diam * 22CM (8.7") H approx. 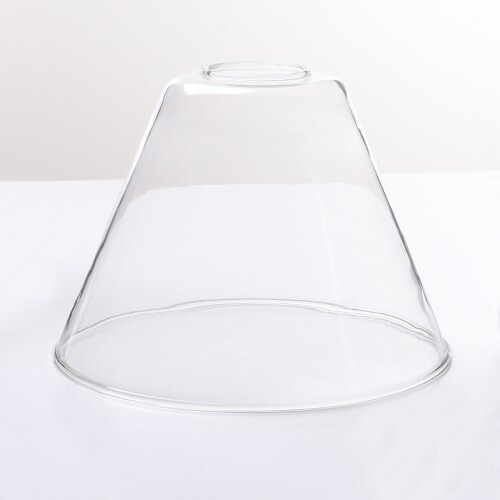 Lamp shade 18.5CM (7.3") Diam * 22CM (8.7") H approx.